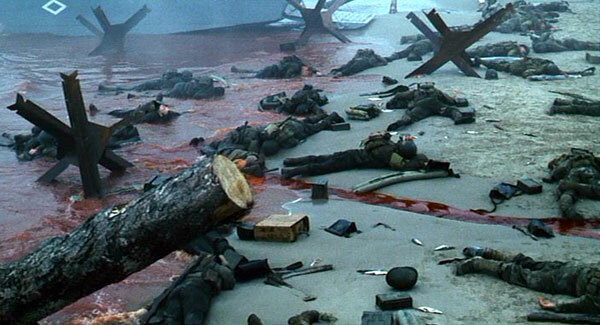 Although the four Ryan brothersSean, Peter, Daniel and Jameshad originally been assigned to the same company in the 29th Infantry Division, they were split up following the deaths of the Sullivan brothers on U.S.S. Juneau in November of 1942. 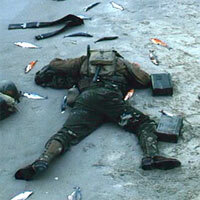 Sean Ryan was later killed on Omaha Beach on June 6, 1944. 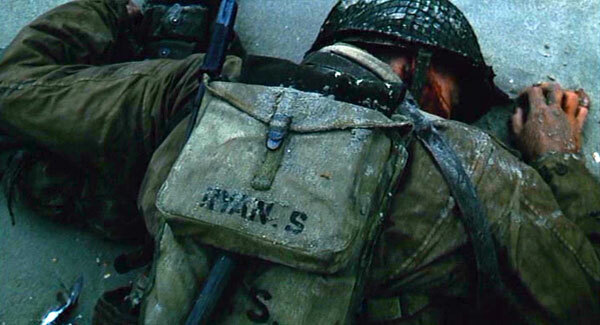 The markings on Sean Ryan's haversack are not standard, and cannot be seen on any other character in the film. Obviously this was done as a means of visually identifying the body. 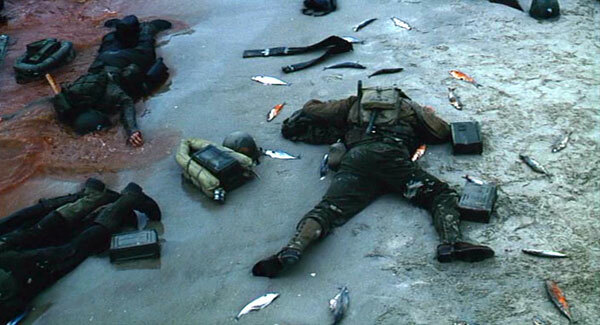 In reality, Ryan's entrenching tool cover would have been marked on the inside flap with only the last four digits of his Army serial number.